Online Trading Academy’s passionate and dedicated instructors become skilled presenters under the tutelage of Gregory Thoennes. 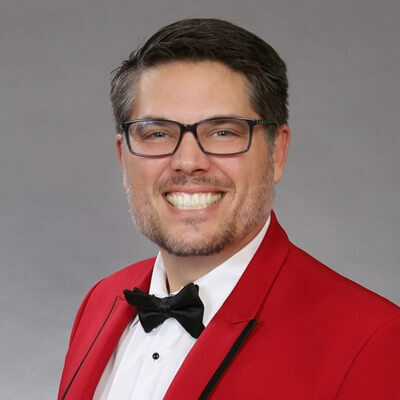 As Director of Presenter Development, his goal is to show them how to connect with students during their presentation and make the content come to life. Armed with these powerful presentation skills, instructors can more effectively fulfill the mission of the company to change lives through financial education. As a graduate student at University of California, Berkeley, Mr. Thoennes took a leadership speaking class that changed his life. His professor was so impressed with his speaking abilities that he asked him to conduct the class the following semester. It is a life skill he had never recognized he possessed until that point. After earning his MBA (following a bachelor’s degree at the University of Wisconsin in Madison), he took a position with a major mutual fund organization where he helped grow the portfolio under management from $400 million to $10 billion in four years. Mr. Thoennes has also worked at a major financial education firm, now part of TD Ameritrade, where he taught personal investment strategies to 50,000+ students across North America. He has also led an online trading education team where he was responsible for all of the firm’s multiple investor/trader products, partnerships and strategic project management initiatives. After his first interview at Online Trading Academy in Irvine, Mr. Thoennes called his wife to say, ‘I’m home’. He moved his family from Utah to the beaches of Southern California and took the top and doors off his Jeep Wrangler. He lives 12 minutes from corporate headquarters and marvels at the fact that he lives in a place where people travel from all over the world to vacation.